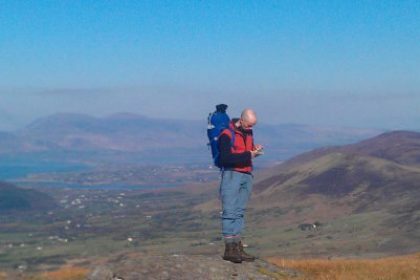 The Level 5 programme is designed to provide the outdoor adventure tourism and education sector with personnel who have the knowledge, skills and competencies to commence work in the adventure sports industry. Participants get the opportunity to develop the practical and technical skills needed in the leading of groups in adventure activities. 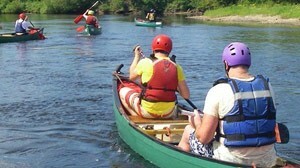 The course is the ideal starting point for anyone who is interested in developing a career in the outdoors. 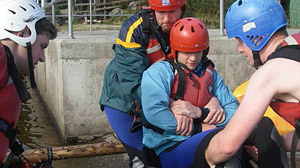 The course is delivered with a maximum Trainee to Instructor ratio of 6:1 through a combination of training methods. These include instruction, coaching, presentations, supervised practice, self-discovery practice, practical work training, work environment practice, discussion groups and role play. The course offers a rich learning experience by integrating theory and work practice. 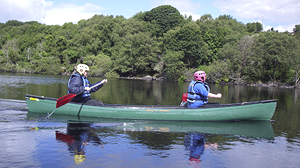 The Advanced Outdoor Activity Instructor Traineeship course has been designed to up skill and enhances the employment opportunities for those working or training in the outdoor sector. The purpose of this award is to enable the learner acquire the knowledge, skill and competence to work independently and or in an instructional, coaching, supervisory, and /or management role in a range of operations and activities in the Outdoor Education/Adventure Tourism industry. The course aims to develop attitudes, personal effectiveness and job seeking skills that will enable them to obtain employment. Building upon the Level 5 Traineeship this course will be delivered through a combination of training methods. These include instructions, presentations, assignments, supervised practice, practical work training, work environment practice, discussion groups and particularly self-directed learning. The course offers a rich learning experience by embedding theory in best work practices.